Was eager to bake some muffin as per my fellow blogger-friend's recipe, but unfortunately I did not have the main ingredient in stock! 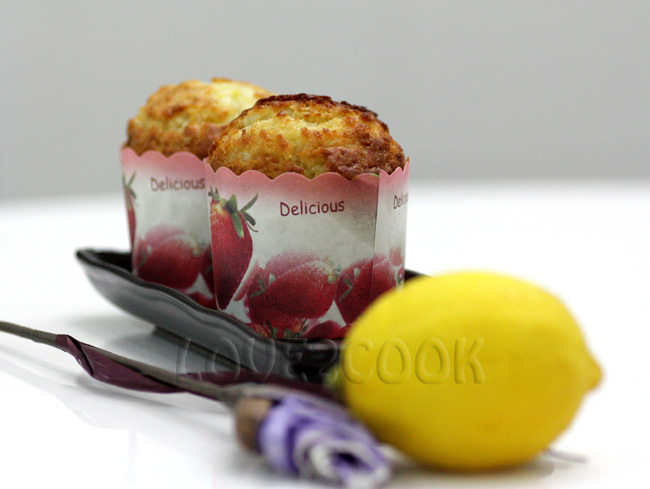 Too lazy to shop for it, I changed mind and baked Lemon Yoghurt Muffin instead. I sticked to this recipe after 2 trials and some adjustments to fit our taste buds. In a large bowl combine flour, baking powder, baking soda, sugar and salt. In another bowl, beat egg and add yoghurt, melted margerine, lemon rind and juice. Fold in flour mixture into yoghurt mixture. Mix well and spoon batter into lined muffin tray. Bake for 20-25 minutes. Cool on wire rack. 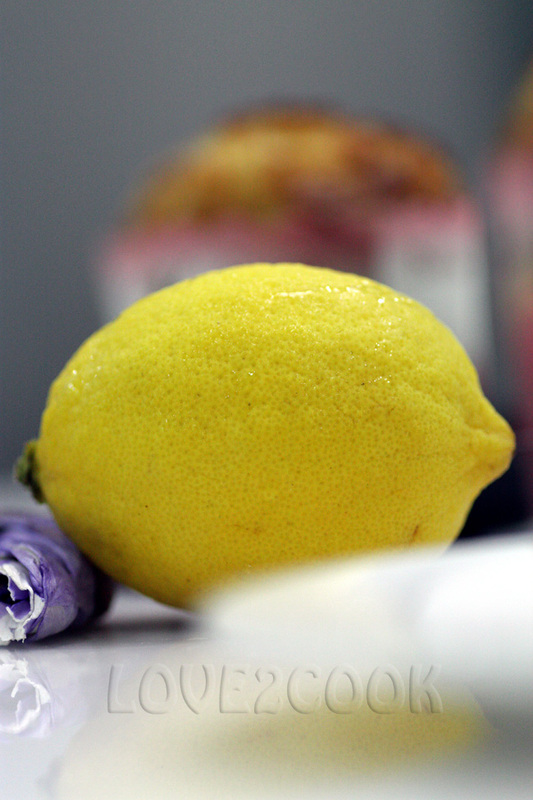 U want more lemony...squeeze some lemon juice over your muffins!!! 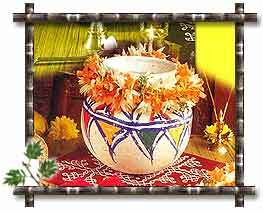 Hereby, I'd like to wish Happy Pongal to all my friends around the globe! Pongalooooooo Pongal!!! Wish you had the greatest celebration...don't forget to pass me the pongal rice! Nanti kak tie nak cuba buat. Thanks alot! I've been surfing your blog for quite sometime now and all the recipes u got here are simply sedap!That muffin cups sure looks like mine too! Feel free to visit my blog and if possible, could u link mine to yours please?Thank u so much! Long time no see...hehe..miss u dear! Wow lemon yogurt...mouth-watering, keep 1 for knur ok! Hi Love..k.atie dtg nk tapau muffin 2 ketui!..ooo arini porgal yer?patut la pg2 lagi jiran2 india kt taman k.atie nie dah sibuk! perghhhh! dasatt! tgk lemon sajer pong rasa mcm nk telan sebijik2! hihi.... bak seketui love! 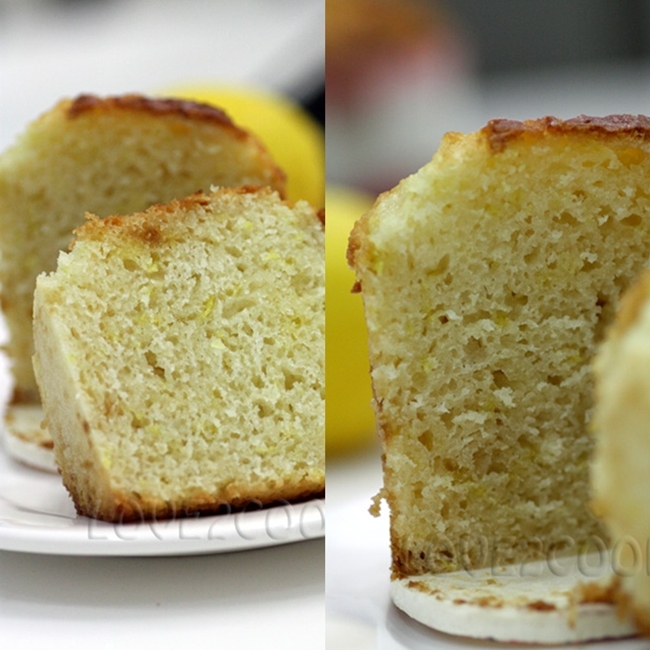 I love lemon flavor in baked goodies and these muffins look fabulous!! Hai Friend, Happy New Year and Ponggal Valtugal. wah sampai kat sini terbau lemon muffins love ni..
ada lagi kasi 5 ketul ya.. Happy Pongal!!! Those are lovely muffins. Very tasty and soft muffins. Wish you a happy pongal..
Love your beautiful muffin ... so pretty dome up. May I ask you, how much you fill into the paper cup? I always misjudge it. And the pictures are really really nice.. Happy pongal wishes to u and ur family...Marvellous looking muffins,love the citrus flavour in my bakes..
wow! this looks really yummy! thanks for sharing! Hey these are yummy looking! Wish you happy pongal to you and your family. Lovely looking muffins. I love lemons! Happy Pongal to you, hubby and your two adorable cutie-pies! awesome muffins!!!! so far akak tak pernah nampak lemon flavoured yoghurt..so if i make i'll use plain yoghurt with the real lemon fruit...just can imagine the delicious taste! The combination of lemon and yogurt is a delightful flavor! 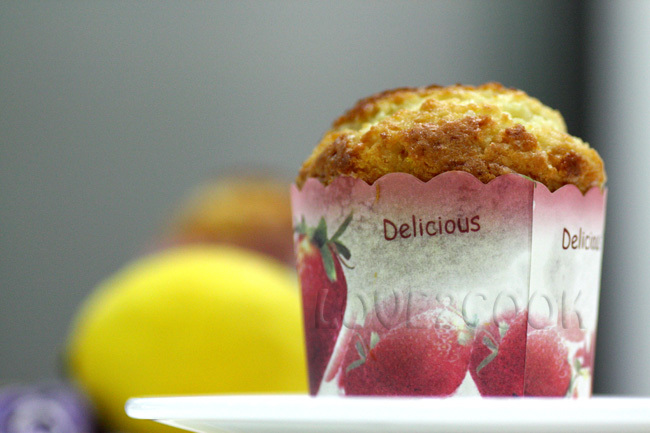 Muffins are a great treat, good for breakfast, lunch or dinner! Happy Pongal to you... The lemon muffin looks yum and the presentation is good. 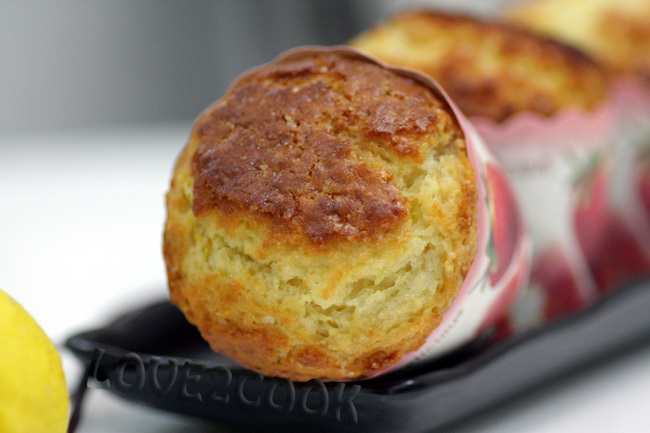 Love those cute citrus muffins! The texture is perfect from inside. The paper molds are very beautiful, which is adding 5 stars to the gorgeous bake. Love the clicks. Golosissimi questi muffin al limone....posso prenderne uno per colazione????? hepi ponggal day to u n ur family love..